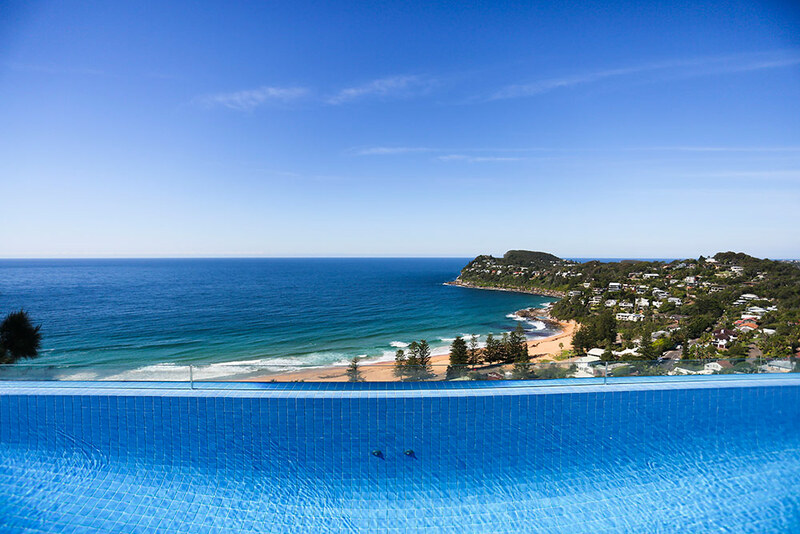 With extensive views over Palm Beach this eye-catching lap pool is both functional and beautiful. 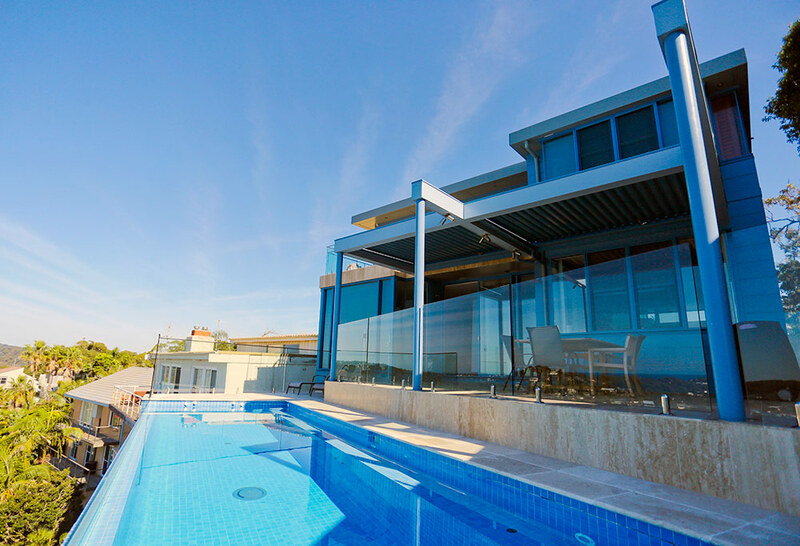 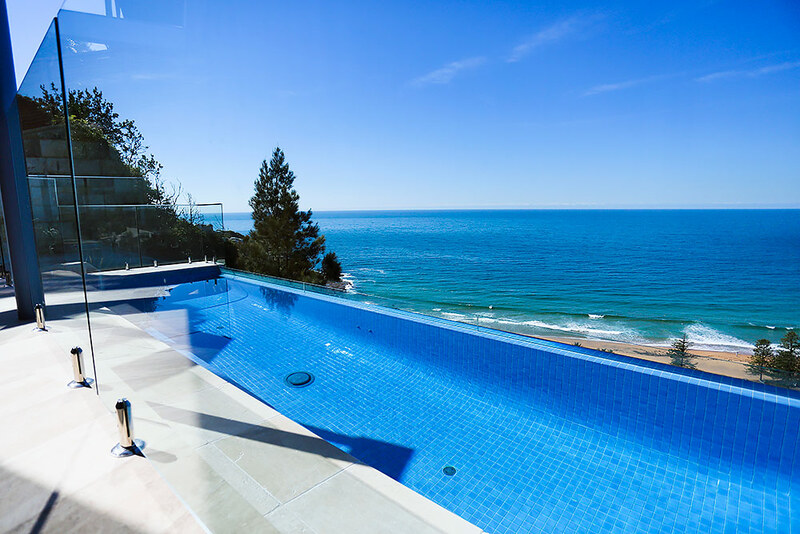 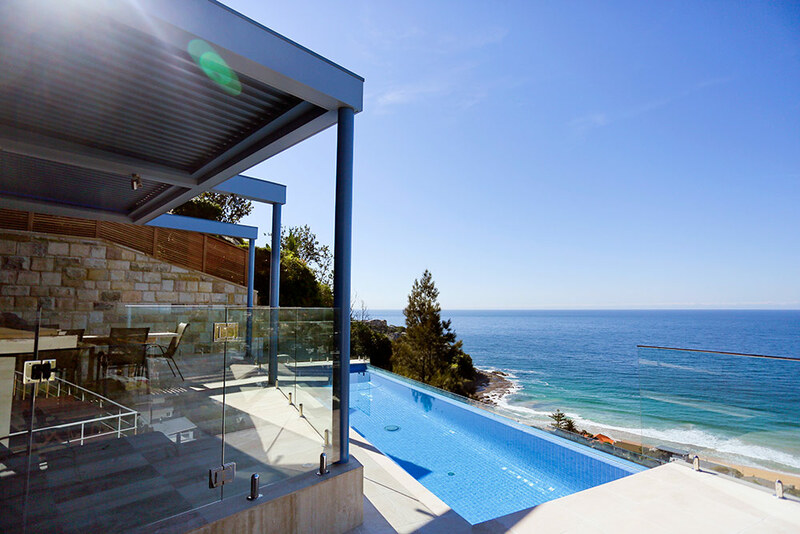 The pale blue ceramic tiles of this fully-tiled pool, along with the north-facing glass blade edge create a sense of connectivity with the distant ocean. 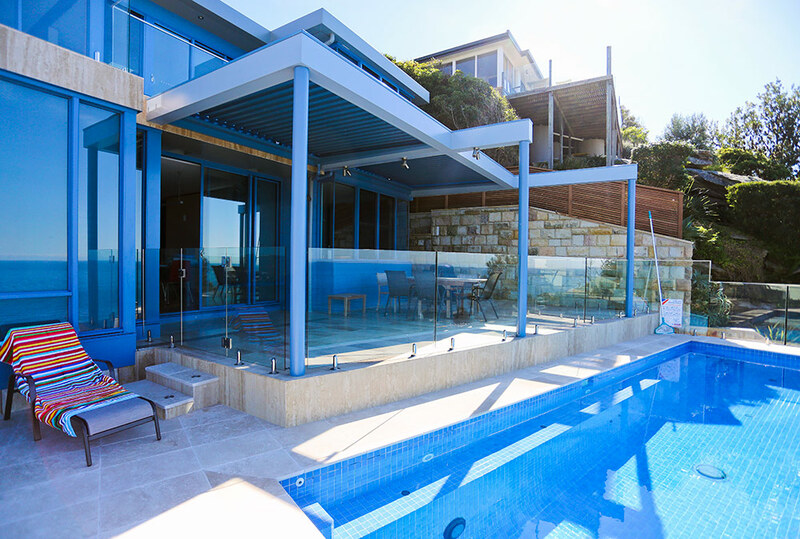 The pool is edged with Travertine coping and frameless glass fencing creating an invisible barrier between the entertaining area and adjacent pool. 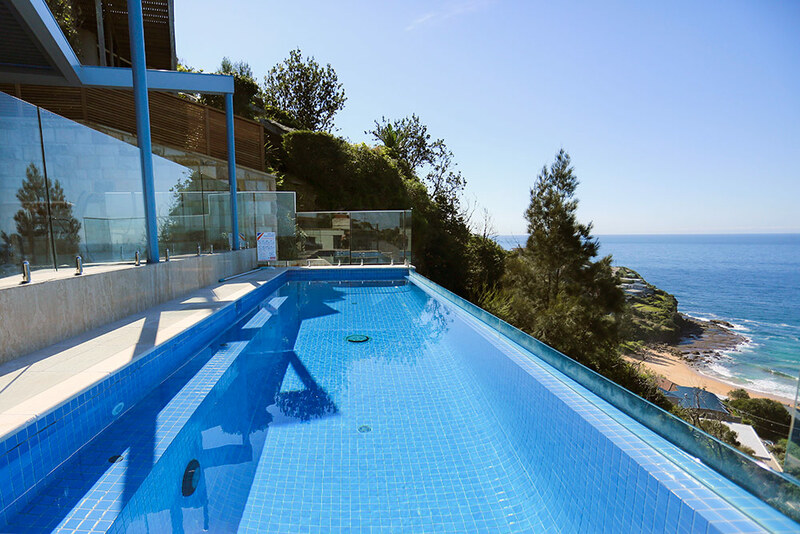 The swimming pool is equipped with a Badu swim jet system and Viron Gas heater creating an aquatic work out facility that can be used year round. 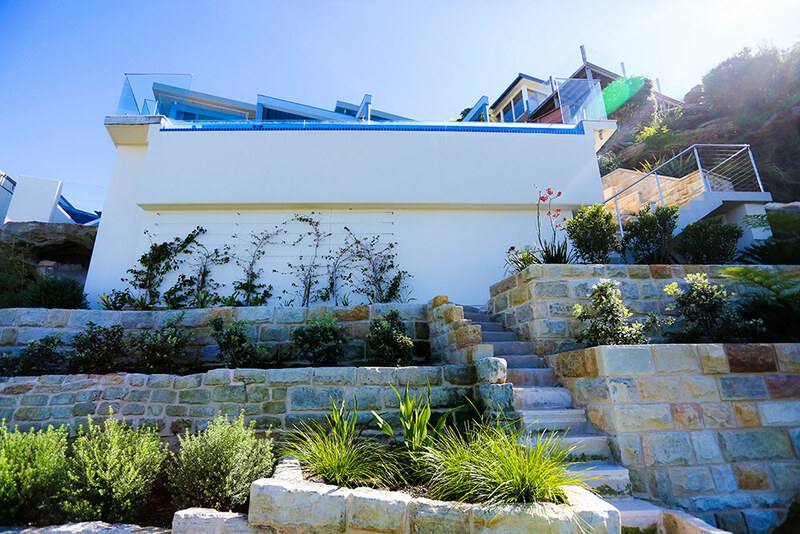 The pool also features a Waterco auto top up system ensuring the water level remains at a consistent level.